This post was originally sponsored by Collective Bias, Inc. and its advertiser. All opinions are mine alone. As parents, my husband and I have to be wise with our time and money. This means we do a lot of online shopping and DIY often. One of our favorite money saving measures is DIY oil changes. 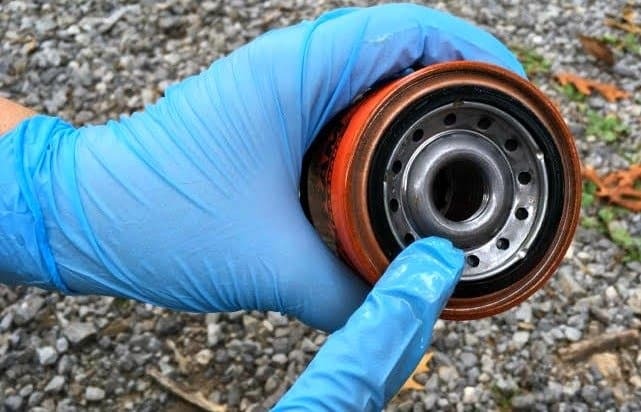 Some companies charge upwards of $70 for their basic oil change service. Ain’t nobody got cash for that! The cost for a new oil filter and 5 quarts of oil is only about $25. A DIY oil change also only takes about 20 minutes, compared to the hour or so you spend waiting around at the shop. Along with our love of DIY, we strive to instill self-sufficiency in our children. For this reason, we will be teaching all of our kids how to change their own oil, when the time comes. Yes, even our daughter! So many times society overlooks women when it comes to car maintenance, which is ridiculous! Knowledge is so empowering, for both boys and girls, and can help to instill confidence when either DIYing repairs or visiting a repair shop later in life. My husband and I worked together to create a comprehensive checklist for teens in 2 different styles. 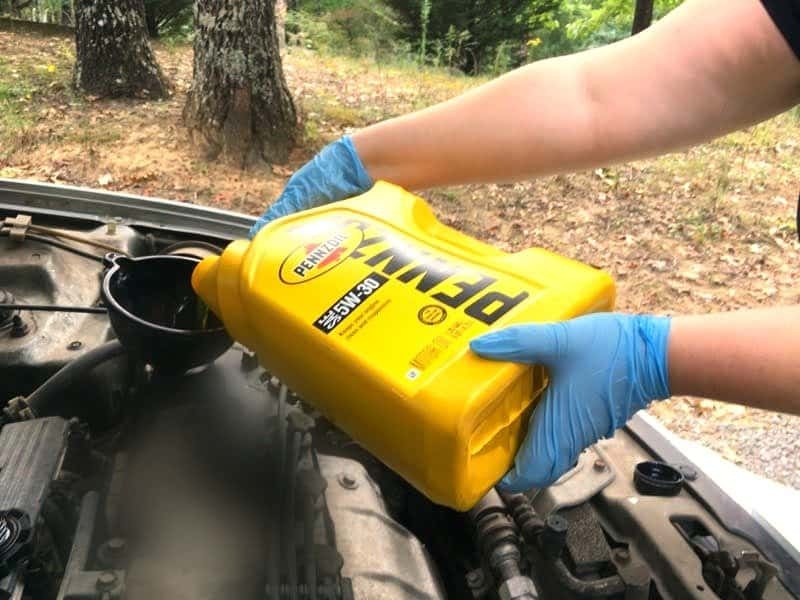 We are also including a few pictures of various steps that you can reference with your teen in preparation for their first DIY oil change. Please keep in mind that this FREE printable checklist is not a substitute for parental instruction and supervision. It is only meant to aid in the process. The owner’s manual recommendations and parental knowledge still prevail. Before beginning, make sure you purchase the correct oil and filter as designated in your owners manual. Download your FREE printables here: Gray Oil Change Checklist, Teal Oil Change Checklist. Tip: Laminate the lists and use them multiple times. -Put on gloves and safety glasses. -Locate the drain plug underneath the car and position the drip pan below it. Use the box-wrench to loosen the plug, but finish loosening it and removing it by hand. Tip: position your hand to the side of the plug instead of the front, to avoid oil dripping down your arm. -As the oil drains, clean the drain plug by wiping it with a shop towel. -After the oil is finished draining, replace the drain plug, tighten it with the box-wrench, and wipe any drips. 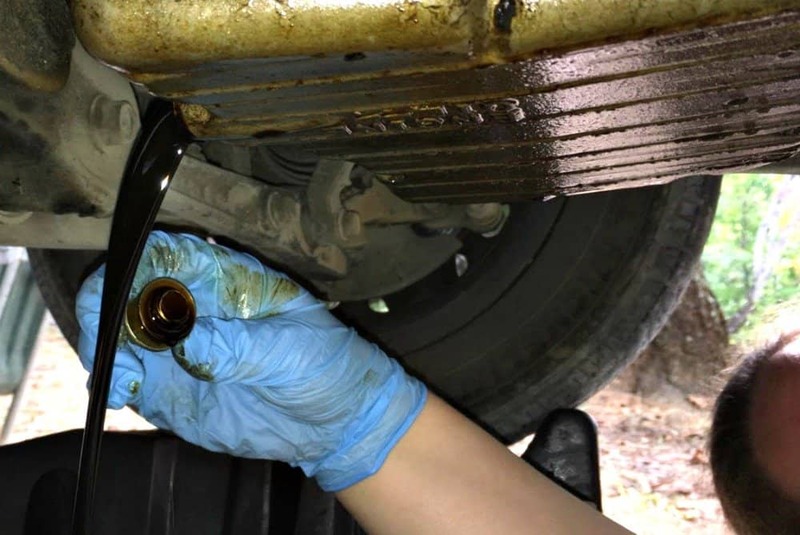 -Place the drip pan under the old oil filter and remove the filter. Depending on the type of filter, you may need a filter wrench to complete this task. -Rub fresh oil on the seal and threads of the new filter and install it. -Next, open the hood of the car, remove the oil cap, and use the funnel to fill the oil reservoir with fresh oil. The required amount can be found in your owner’s manual. Tip: Tilt the oil container front to back, instead of side to side, to minimize glugging and reduce spills. -Run your vehicle for 1 minute, then check the oil level. While the car is running, peak underneath to be sure there are no leaks. 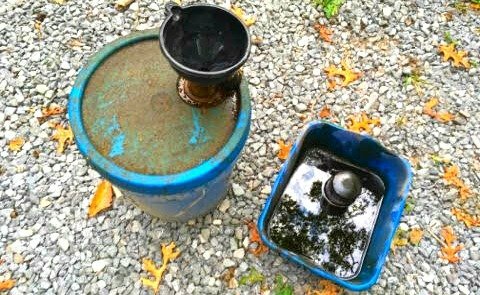 -Pour the old oil into an approved container for recycling. Tip: When your container is full you can recycle it for free at almost any auto parts store. Note: Depending on the height of your vehicle, you may need to elevate it prior to beginning the oil change. To accomplish this, always use ramps or jack stands according to the manufacturer’s instructions. NEVER use jacks intended for changing tires. Also, ALWAYS place a block behind the tire to keep the vehicle from rolling back. Love these tips! I will be printing this list to use with my boys when they get a bit older, too! And I totally agree about teaching girls to change their own oil as well! We should all be as savvy as possible about car maintenance.